The Dubai Autism Center (DAC) is using special robots as part of its Robot-Human Interaction program. 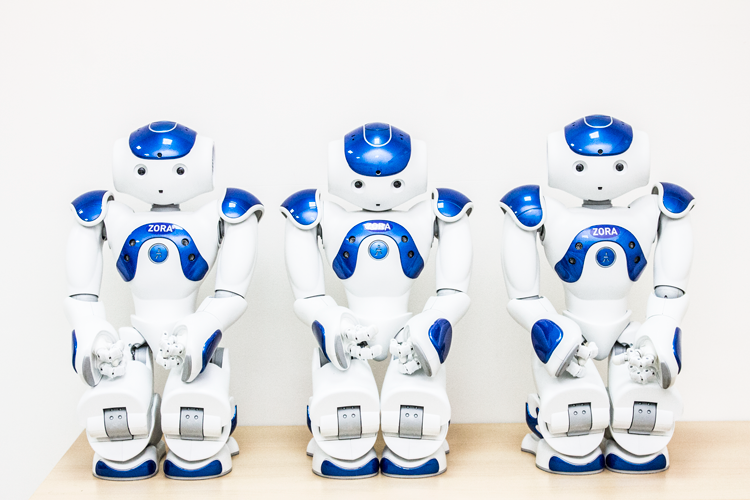 The four small robots are designed to help students with autism advance in their learning. “We envision Robot-Human Interaction as a way for students to not only work on not only speech and language but also social skills,” said Mohammed Al Emadi, Board Member and Director General of Dubai Autism Center. Assisted Therapy Room which has been specially designed for human care robots that capable of a vast number of physical and social exchanges,” Al Emadi added. “As a non-profit organization, we continue to rely on community’s support to help students achieve the levels of independence they and their families always hoped for,” said Al Emadi. “Our students often need encouragement to initiate communication, and Zora’s many therapeutic scenarios noticeably improve engagement levels, helping them achieve many goals of their Individual Education Plans (IEP),” Mona Ibrahim, Occupational Therapy Department Manager. Educators at DAC say that the students feel excited whenever they know that they are going to the robots room. Educators say that Zora’s nondescript face and small size makes learning, communicating and interacting more friendly. Recently, the 13th annual autism awareness campaign of the Dubai Autism Center launched on the 2nd of April – the World Autism Awareness Day – to last through the rest of the month. The running campaign includes a number of awareness presentations in government departments aimed at increasing public awareness and promoting a better understanding about the various challenges of autism and how early intervention is important for individuals with autism. It is noteworthy that the Dubai Autism Center received in its new building this year an additional number of new students. The total number of students for this year has become 81 students between the ages of two to 18 years as an initial phase bringing the total students during the next academic year (2018- 2019) to 210 students. The new building of Dubai Autism Center is located on an area of ​​91 thousand square feet with built up area of ​​208 thousand square feet, consisting of a ground floor and three upper floors. Autism is a complex neurobiological disorder that lasts throughout a person’s life; it affects the person’s verbal and non-verbal communications as well as imaginative play and social skills. ASD transcends social, cultural and geographic boundaries. According to recent studies, 1 out of every 68 children is affected by ASD.